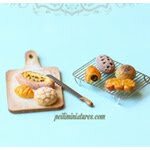 FREE Clay Food Tutorial with Purchase - First 5 Only!! 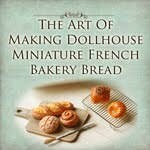 I've finally completed writing my third online clay food tutorial named "The Art of Making Dollhouse Miniature Animal Shaped Cookies". 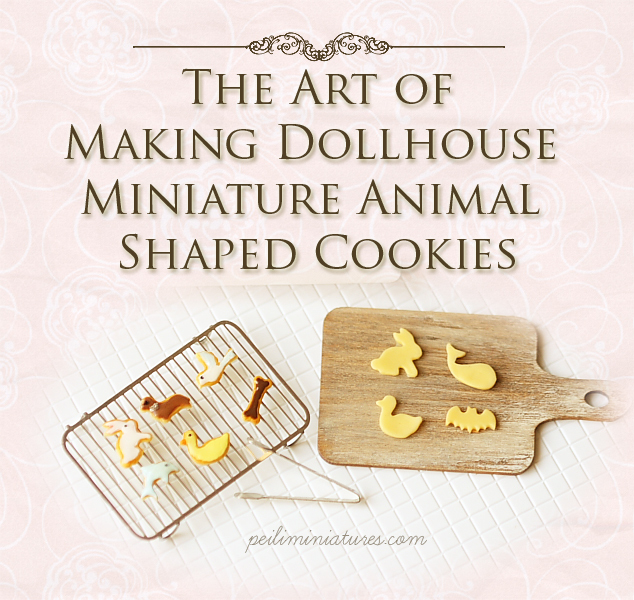 To celebrate the launch of my third online how-to-tutorial, I'm giving away 5 free copies to the next 5 customers who purchase the Animal Shaped Cookie Mold from my store. Whether you purchase it from my online store or my Etsy store, the total of next 5 customers will get this FREE clay food tutorial! Clay Food Tutorial will be emailed in PDF Format. I'm feeling a little playful these couple of days, and ended up with this fake ice cream cone which I've made entirely by hand. Looking at the photo, you'll know it's much larger than what I usually do. I have crazy ideas (non-conventional ones too) about how I want to decorate these ice cream cones. I am envisioning them to be art decoration pieces more than functional pieces at this point. But we'll see how it goes as I work on it slowly. I bet this would be another long project but that's OK. I don't like to rush myself when trying out new things, so I much rather enjoy the process and pick up new tips along the way. 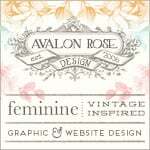 I'm so pleased that after months of cleaning up my online shop in preparation for a minor improvement update, I am done. The update is not significant, but I'm pleased with how it looks now. The photos are nicely framed and you can expand it if you click on the photo. 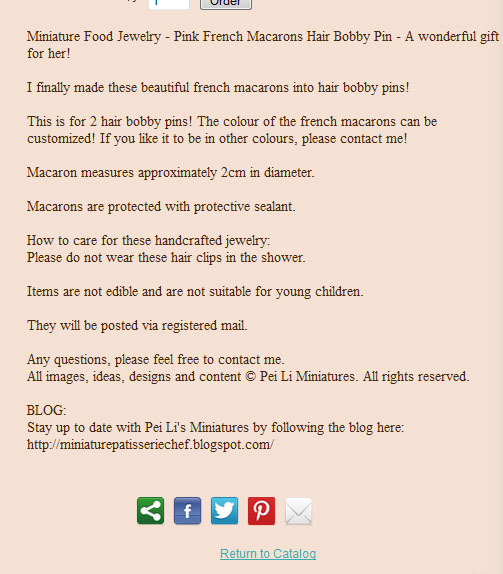 Also the social media buttons have been added at the bottom of the page, so anyone can share! I have this no bake clay for a while now. Most of you would be familiar with the term air dry clay, but it's the same thing actually. Some people also call it "no bake clay". I love testing out new stuff and today I am going to review the Tamiya Lightweight Clay. The first touch of the clay is crucial and probably one of the most important aspect for me when it comes to trying out new clay. By touching and feeling it between my fingers, I can assess its basic properties. I then try to relate the texture to the popular brands of clay and see if there is common ground. My first reaction when I touch this clay is that it is extremely similar to the Hearty Clay texture. Perhaps this is a really fresh pack, so it feels really soft and wet. After kneading it for a little while and pressing it, I'll still say it's similar to Hearty Clay. I love to do the "press test" to have a better idea of the clay characteristics. The "press test" is really a guide for me to understand how the clay works and reacts when I press hard onto it. When the clay crumbles when you press on it, it doesn't mean the clay is no good, although many people may have this wrong perception. For me, I think about the possibilities of how I would use the clay to my best advantage. The Tamiya Lightweight Clay comes in white colour. But for this testing purpose, I've added some ochre colour to it just so that it is easy to differentiate. See how the clay reacts when I pressed it. Both clays hold well and doesn't crumble. It is smooth and there are no cracks too. I then used the Tamiya Lightweight Clay to make a cookie from a decoden cookie mold. Very nice. :) I'm going to let it dry naturally before I tell you about the properties once it is dried. I'm also excited to test out another new product I have with the cookie, so there will be more the next time! Meanwhile, the no bake clay and decoden mold can be found in my shop here. For this week's Give Me The Goods, I'm pleased to present you my fake macaron pop, which is sometimes also called the macaron lollipop. I started making one a little while back, and gave away my first piece to a friend who just loves macarons. The way I made it for the lollipop version is a bit different because of the stick size. I had to consider how the cream filling would hold up. After a few versions, I think I found the best way to do this. 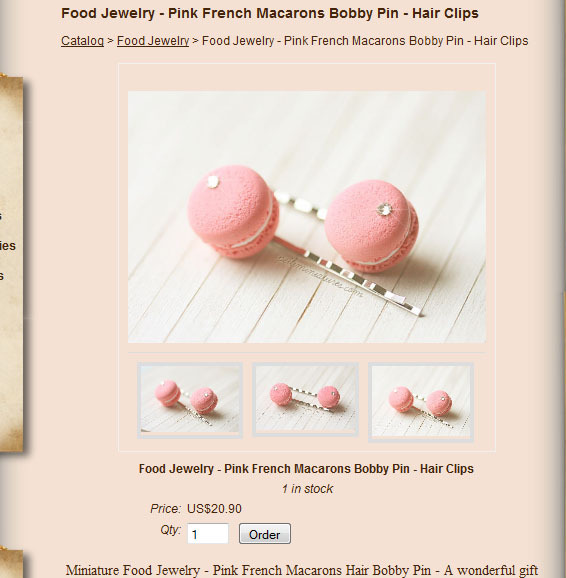 I'm fascinated with this because I've seen how these are being used a lot in wedding or birthday tables decor. A few of this being presented in a nice jug or cup just makes a difference in your table presentation. The best of it all is probably the fact that it can be used again and again. No ants or insects would come to bite on it, since it's not edible. Use them over and over again! Just make sure to tell the kids NOT to eat it! Now available in my Etsy shop or online shop here. I am happy to be able to share these precious photos with you today. 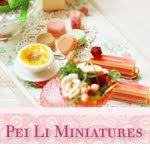 My customer from Australia has creative ideas on how to use dollhouse miniatures for a birthday party. The concept was to use dollhouse miniatures as part of decoration for a birthday theme. Here, you'll see the pink rainbow cake as well as a box of macarons handmade by me being used as part of the decoration. 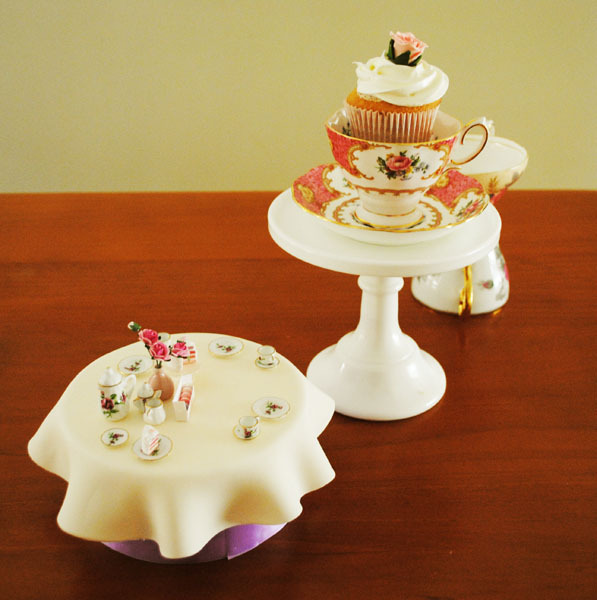 This photo gives a perspective of scale - as the cupcake is life size, and is a real edible food, presented in a beautiful tea cup set and white cake display stand. Over here, the dollhouse miniature display is perched on the top of the real cupcake stand! I hope this gives you all some wonderful ideas on how you can incorporate dollhouse miniatures in a real birthday theme party. :) I thought it was brilliant! Thank YOU so much Simone for allowing me to share these precious photos :) I hope you and your family had a wonderful party!